You can be a winemaker and still love beer! Always eager to explore new horizons, we thought we would create our own brewery. inspired by the sun of Provence, and which would also appeal to fans of craft beer! 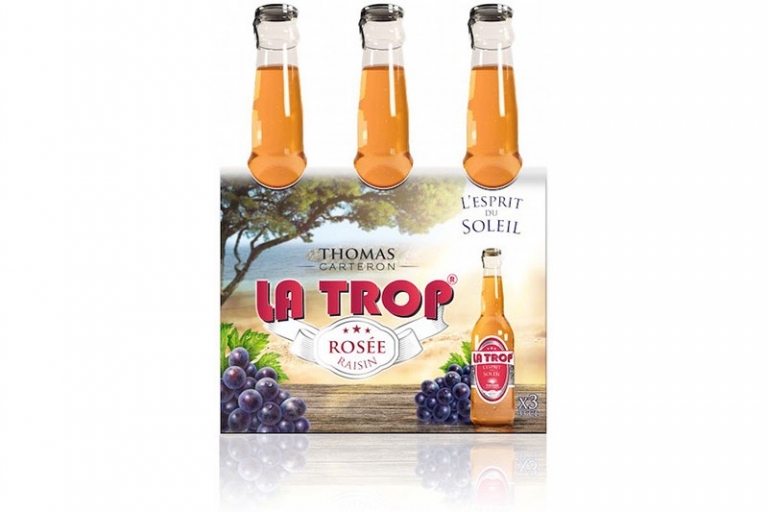 We are wine industry professionals, who wanted to continue growing our business propelled by the increasing popularity of rosé/rosée, while indulging in a new passion: brewing beer. 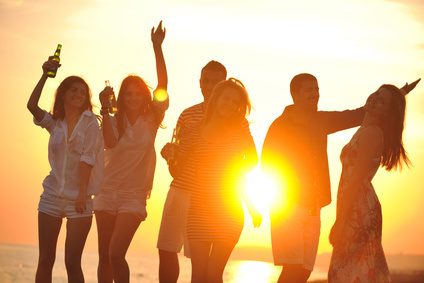 We opened our small brewery in Saint-Tropez, in the Saint-Claude estate area. Our pico-brewery allowed us to develop an innovative concept: the first rosée beer from Provence, which combines the light character of a beer with the delicate aromas of a rosé wine from Provence. 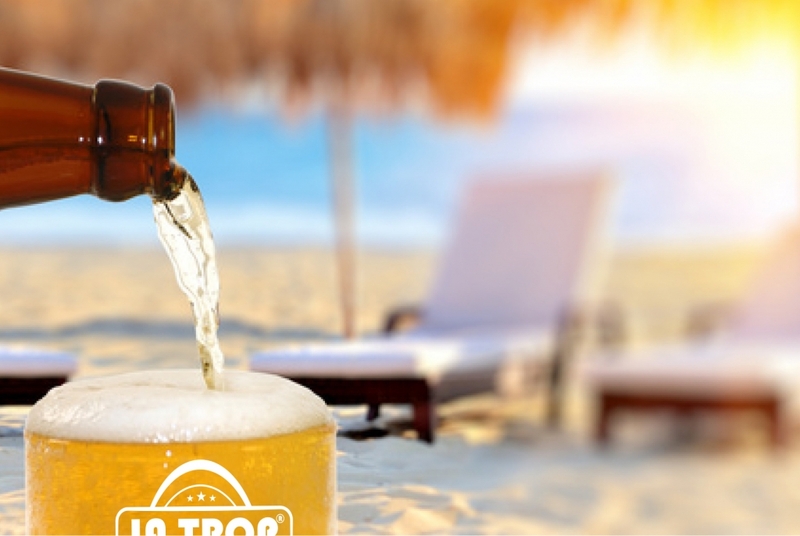 With our first mill, our mash tun and our fermentation tanks, we created our very first brews, and perfected the LA TROP® recipe. It was when we were selecting our delicious and light beer profiles, particularly appreciated in our Mediterranean climate, that we had the brainwave of blending in some grape tannins in order to stabilize the aromas and the rosée hue that we wanted to this beer to have. Below are the various recipes which we have developed, which you can obtain by simply getting in touch with us. We moved to a larger facility in order to scale-up production. We wanted to become a “producteur de bières artisanales en France” (producer of craft beer in France), with perfect mastery of the techniques required to produce our recipes and a Quality Assurance Department to guarantee the consistency of our products. 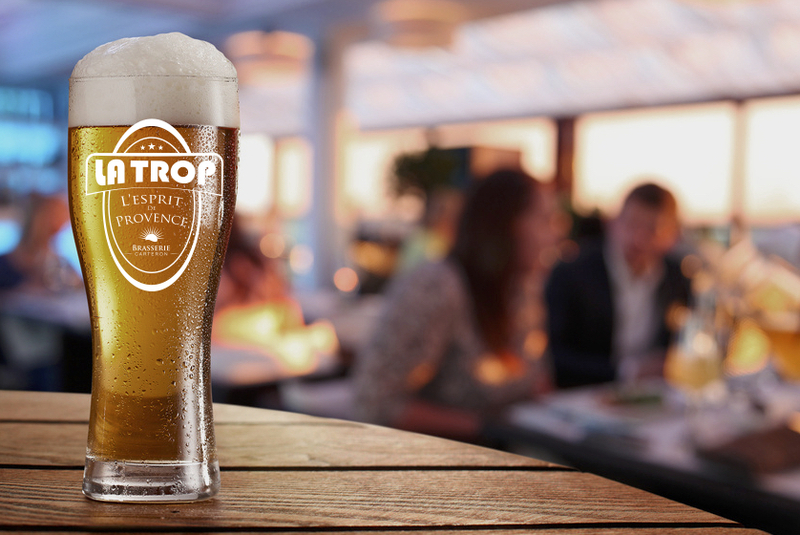 For the LA TROP® ROSEE recipe, we chose a Pilsen-type craft beer recipe, created by bottom fermentation, resulting in a highly aromatic character, using malts selected for their delicacy and purity, combined with two types of hops, bringing subtle fragrant notes and a slight, delicate bitterness. 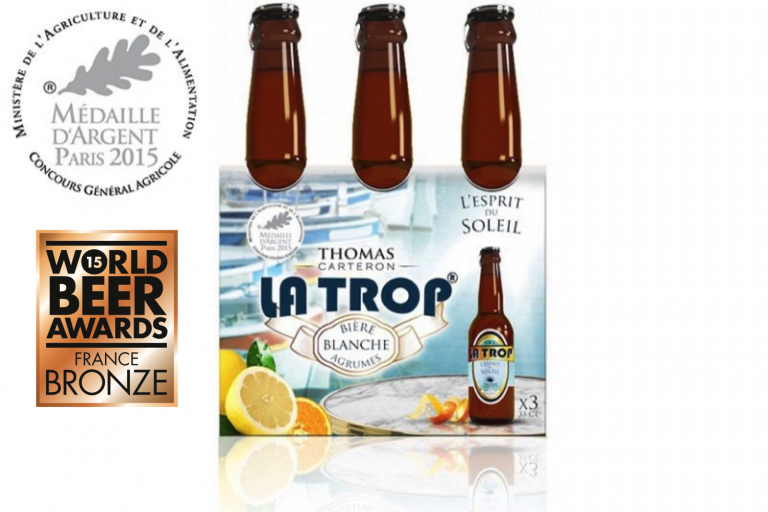 To create LA TROP® BLANCHE, we were inspired by craft beer recipes from the brewing traditions of the Flemish Brabant province of Belgium, home to the villages of Tirlemont and Hoegaarden, yet imbued with the ambiance of the port of Saint-Tropez. 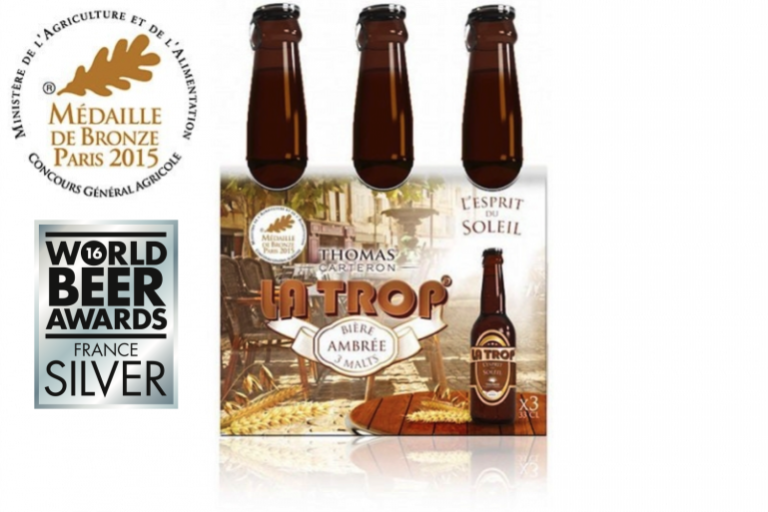 LA TROP® AMBREE will delight true craft beer lovers, looking for a beer with a charming Provençal personality along with a distinctive and elegant character. From authentic recipes, composed of multiple malts, we created the perfect blend of rich and complementary malted barley, wheat and oats. 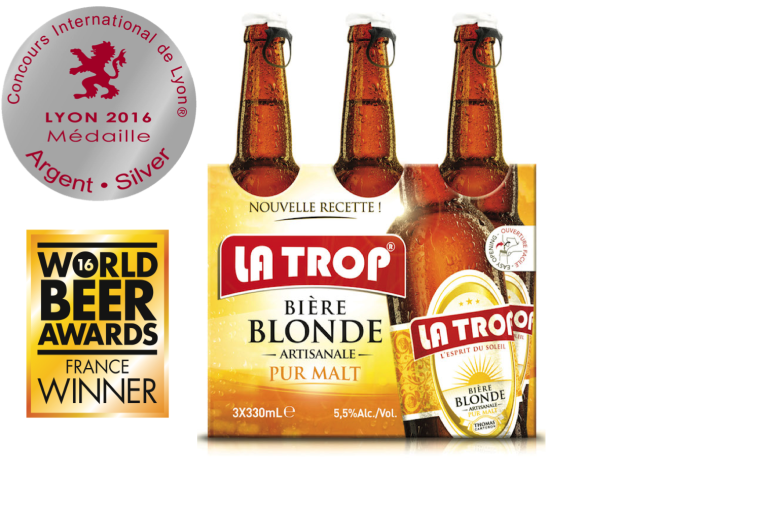 LA TROP® BLONDE is out last born. This is a unique beer : 1 single malt, 1 single hop. We have wanted of aromas francs and equilibria, for give a sober and elegant tasting beer. His bitterness is calibrated. His foam is persistent. 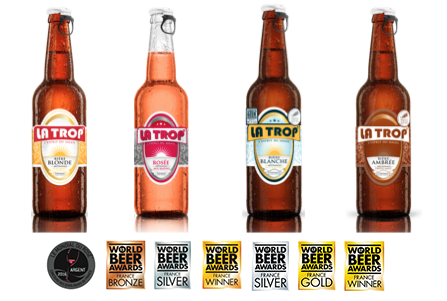 Partager la publication "LA TROP® BEERS"
We were therefore able to use all the experience and know-how built up over our ten years working on our wine estates in the Var region. We are, in fact, mainly specialized in the sale of rosé wine from Provence: This is our core business. (Visit the section on our wine range). Do you work in the restaurant trade or supermarket sector and are interested in listing our products? Are you a member of the general public who would just like to find out more about the Thomas Carteron brand? Please take a moment to fill out our online form. We will respond, in full, as fast as we can.